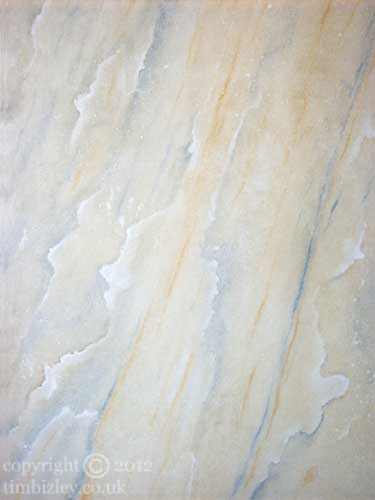 A marbleising paint effect depicting Blue Macauba, a marble from Brazil. This is one of the few marbles with a strong blue element. Sometimes called Azul Macauba this marble displays a large variety of structural elements and flaws. Specialist decoration using marbling paint effects can be a useful method of transforming existing painted surfaces or bringing new painted surfaces into accord with an interior design scheme.